It seems that neither is there a perfect automaker or a perfect car. As the saying goes, "Nobody is perfect". You see, even such a huge and highly reputable automaker as Toyota can sometime overlook things while manufacturing its cars. The Japanese automaker has made an announcement in which it states its plan to recall 185,000 cars in total globally. Yes, that means that some of the Toyota cars on our shores will be affected by the recall as well. 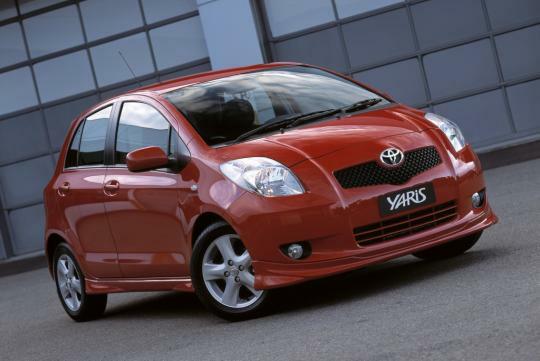 The recall is said to involve the Toyota Yaris (also known as the Vitz in some regions) from the 2010 to 2012 model years. In addition to those, the Ractis and Verso-S from the 2010 to 2011 model years will also be recalled. It is said that this global recall is due to a power steering failure. Toyota mentions that in case water happens to reach the inside of the power steering module, a short circuit could take place and the power steering will fail, forcing the driver to give more efforts while trying to turn the steering wheel. The Japanese automaker also mentions that when the failure emerges, the cars in question will switch on the Electronic Power Steering warning indicator as well as give out a buzzing sound. The recall affects 130,000 Toyota cars in Japan itself, 22,450 cars in Europe, 74 cars in the U.S., and the remaining 32476 cars in other parts of the world. So, if you own a Toyota, prepare yourself for the recall as the Japanese automaker will mail you (besides other Toyota owners, of course) and your dealer will be more than happy (well, they should, anyway) to replace your power steering module. While most automakers will normally recall their cars due to some safety issues, it's nice to see that Toyota recalls its cars due to some issues that are more likely comfort-oriented, as a power steering system is not absolutely needed to drive a car. You see, in the old days, cars didn't have this particular feature at all. But of course, most of us will feel like something's missing if we drive a car without a power steering feature these days.